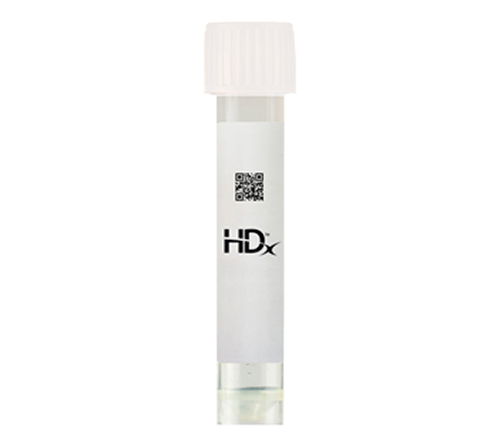 HDx™ FFPE RNA Fusion Reference Standards are independent analytical controls for the optimization and validation of targeted RNA-Seq, endpoint RT-PCR, or RT-qPCR assays. This product class is being initially established through the launch of ALK-RET-ROS1 targeted FFPE RNA Fusion Reference Standards. These standards are highly characterized, biologically relevant, quality control material used to assess the performance of targeted NGS, RT-PCR and RT-qPCR assays aimed at detecting gene fusions. Each section contains an FFPE cell line multiplex verified to provide EML4-ALK (Variant 1), CCDC6-RET and SLC34A2-ROS1 fusions. These FFPE RNA Reference Standards allow end users to evaluate the integrity of their workflow from pre-analytical RNA extraction through to fusion detection.